Hired by Athletics Director Harry Sheehy in April 2013, Belle Koclanes is now entering her sixth season in 2018-19 as the Gail Koziara Boudreaux '82 and Family Head Coach of Dartmouth Women's Basketball. The 2017-18 season gave a glimpse at how far this team has come in its quest for an 18th Ivy League title. The Big Green narrowly missed out on the Ivy League Tournament, but posted their best overall season and home records since 2008-09 at 15-12 overall and 9-4 in Leede Arena. Dartmouth’s biggest triumphs came in wins over Boston College and Colorado, the first in program history against ACC and Pac-12 teams, respectively. Against Columbia, the Big Green set a school record by scoring 35 points in the third quarter. Senior Kate Letkewicz, an All-Ivy League Second Team selection, inked her name in the Dartmouth record books in six different categories, including 15th all-time in scoring, 12th all-time in rebounds and third all-time in 3-point field goals made. Junior Cy Lippold also had a breakout year ranking second on the team in scoring while dishing out 144 assists, second-most in a single season at Dartmouth. During her fourth season (2016-17) at the helm, Koclanes coached junior Kate Letkewicz to her second consecutive All-Ivy honorable mention selection. The Big Green also upset Princeton on the final day of the regular season in front of a packed Leede Arena crowd. In her third season (2015-16) Koclanes led her team to its best finish in conference play since 2009. The Big Green went 7-7 in the Ivy League good for fourth place. Under Koclanes, senior Lakin Roland earned All-Ivy First Team honors and Letkewicz received honorable mention. In her second season (2014-15), Koclanes' squad made important progress finishing the season with a 14-14 record, the best season mark for a Dartmouth Women's Basketball team since the 2008-09 season. The 9-5 non-conference finish was also the best non-league record since the 2005-06 season. These improvements led to a jump of 158 spots in the NCAA RPI ratings. Fanni Szabo '17 earned All-Ivy Second Team Honors while Lakin Roland '16 garnered Honorable Mention All-Ivy praise. During her first season (2013-14), Koclanes focused on moving the program forward towards its 18th Ivy League championship. The biggest improvement of the season was an Ivy win over eventual Ivy League champion Penn in Leede Arena in late February. Coach Belle instilled the program's core values of “RAP: Respect, Attitude, and Preparation” to unite this team towards a common goal. Koclanes spent two seasons as an assistant coach and the recruiting coordinator at American, where she helped lead the Eagles to back-to-back winning records. During her first season, American posted the first undefeated Patriot League record (14-0) in conference history. One of her major contributions to the staff was the implementation of her 12-month leadership development program. In addition, Koclanes was responsible for the development of the guards as well as game strategy. Prior to her stint at American, Koclanes spent three seasons on the staff at Old Dominion University for legendary coach Wendy Larry. During her time in Norfolk, the Lady Monarchs recorded a 56-38 overall record, including a 39-15 mark in Colonial Athletic Association play and earned two berths in the WNIT. Koclanes was responsible for the development of the guards with additional responsibilities for recruiting and game scouting. A native of Pelham, NY, Koclanes is no stranger to the Ivy League as she started her career as the Director of Basketball Operations at Columbia University during the 2003-04 season before spending four seasons as an assistant coach at the University of Pennsylvania. During her tenure at Penn, Koclanes assisted in all aspects of recruiting, scouting, on-court coaching and game preparation. Before entering the coaching ranks, Koclanes spent the 2002-03 season playing professionally for Panserraikos in the Greek Basketball League. A three-year captain at the University of Richmond, Koclanes finished her collegiate career as the Spiders' career assist leader (793) and was an All-America nominee and a Naismith Award candidate (National Player of the Year). Growing up in a big Italian family, all Coach Belle knows how to do is share, which is evident in her assist numbers as a point guard. She led the conference in assists all four years and averaged 7.37 assists per game during her senior campaign (4th best in the NCAA). She totaled 30 games of 10-or-more assists in her career and had an astounding 22 Career Double-Doubles. Always looking to improve, Koclanes broke Richmond's program assists mark each year of her career (160, 204, 208, 221) in addition to finishing her career with 1,205 points. Koclanes was also invited to The Center for Coaching Excellence, which is a two-day elite leadership-training program that provides an unparalleled exclusive learning experience for coaches of women's basketball. Taja Edwards joined the Dartmouth women's basketball coaching staff in May of 2017. As an assistant coach she is also the director of recruiting and social media, and the career development liaison. Edwards comes to Hanover from the University of Southern California where she served as an assistant coach for the past three seasons. With the Trojans, Edwards was responsible for player development, particularly with the point guards and also took on mentoring and recruiting roles with the team. Under Edwards in 2016, Minyon Moore earned National Freshman of the Week honors and was named to the All-PAC 12 Freshman Team. Prior to coaching at USC, Edwards served as an assistant coach at Cal State Fullerton from 2013 to 2014. With the Titans she worked with post players and was responsible for recruiting in the west coast region. Edwards also served as the team's video coordinator, managing all film exchange. Edwards got her start coaching Division 1 basketball when she was an assistant coach at Ole Miss from 2012 to 2013. There her duties included video coordinating, scouting opponents, as well as guard and post positioning and recruiting. In addition to her work at the collegiate level, Edwards was also the founder, coach and director of operations for Cal Spark Xtreme, a non-profit organization for girls' basketball players in Central Valley, California. A native of Long Beach, California, Edwards attended Long Beach Poly High School where she was a McDonald's All-American candidate and won back-to-back state championships. She earned her Bachelors degree from Fresno State in 2011, where she was also a member of the women's basketball team. With the Bulldogs, Edwards helped her team to three Western Athletic Conference Championships as well as four consecutive trips to the NCAA Tournament. Edwards is also a member of Power 4 Youth and the WBCA. She earned her masters in Science Psychology with an emphasis in Life Coaching in the spring of 2018. Kelcie Rombach joins the Dartmouth women's basketball family for the 2018-19 season. Rombach most recently worked as the associate director of player development at Providence College the past two seasons, following a four-year playing career at St. Bonaventure. She earned her undergraduate degree in English in 2015 after just three years, then finished her playing career as a graduate student during the 2015-16 campaign. Overall, Rombach played in 96 games as a guard, helping the Bonnies advance to the second round of the WNIT as a sophomore and the second round of the NCAA Tournament in her final season. The native of Ottawa, Illinois, played scholastically at Ottawa Township High School, where she scored more than 1,200 points and guided her team to three regional championships. She was an IBCA 3A/4A All-State selection in both 2011 and 2012. Rombach completed her master’s of business administration at St. Bonventure in 2016. 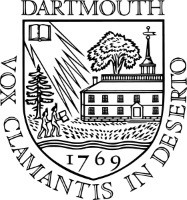 Former Dartmouth standout Lakin Roland '16 is returning to her alma mater as the volunteer coach for the women's basketball team, announced today by Belle Koclanes, the Gail Koziara Boudreaux '82 and Family Head Coach. "We are all very excited to welcome home Lakin Roland '16 to Hanover, said Coach Koclanes. After two years of playing professional basketball overseas and earning her graduate degree, Lakin is ready to join the coaching profession. She has always demonstrated an incredible passion for the game, as well as a genuine concern for others - two essential characteristics of a coach. As an alumna of our program, Lakin brings an inside perspective that will certainly benefit our current and future players. She has played a significant role in moving our program forward as a player and now has the opportunity to contribute even more as a member of our coaching staff." Roland played in 112 games during her Dartmouth career — tied for fourth in the program annals — averaging 11.0 points and 6.5 rebounds per contest. Her 1,235 total points rank 12th on the Big Green career list, while her 725 rebounds place her sixth. The six-foot forward earned a spot on the All-Ivy League First Team as a senior after two-straight honorable mention citations. Roland spent last year playing professionally with the Roannis Basket Femine in Roanne, France, plus tutored middle and high school students in the English language. Roland graduated from Dartmouth in 2016 with a degree in sociology. She then attended the Durham University Business School in the United Kingdom, where she earned her master's in human resource management in 2018. Motta is entering his sixth season as the Dartmouth's Director of Basketball Operations in 2018-19. Motta is heavily involved in the day-to-day operations of the women's basketball program at Dartmouth. His responsibilities include game scheduling, alumni relations, day-to-day scheduling, team travel, marketing, community outreach, social media, and also serving as the Pine Hoops Academy Director among many other duties. Motta came to Dartmouth after two-years at Providence of the Big East Conference as a graduate assistant with the women's basketball team. At Providence, Motta oversaw the team managers/scout team, coordinated film exchange and editing, scheduled visiting team practices as well as the Friars' practice schedule on the road. Motta graduated from Providence in 2013 with his Master's Degree in Counseling. A native of Wethersfield, Connecticut, Motta pursued his undergraduate education at Old Dominion University in Norfolk, VA. While at Old Dominion, Motta joined the women's basketball program as a student manager with legendary head coach Wendy Larry at the helm. In his freshman year at ODU, the program won their 17th consecutive conference (Colonial Athletic Association) championship, earned a top 10 national ranking and advanced to the Sweet 16 where they ended their season with a loss to the University of Connecticut. During his sophomore year, current Dartmouth head coach Belle Koclanes joined the ODU staff as an assistant coach and had the responsibility of mentoring the student managers. Motta graduated from ODU in 2011 with a Bachelor of Arts in Sports Management and is a member of the the Women's Basketball Coaches Association (WBCA).